In honor of Earth month, how to eat green on budget. April is Earth Month, but for many food-lovers, that doesn't necessarily mean making radical changes in the kitchen. Eating locally, seasonally, and sustainably has long been a rallying cry in the food community, since knowing your food and where it comes from is good for people, for farmers, and for the Earth. Eat less meat. Marshall says, "The amount of land, water and fossil fuels that go into producing meat, especially beef, is astonishing, and that's partly reflected in the price. I always have sticker-shock when I see the price of steak on a menu or in the grocery store." Try swapping in beans and mushrooms for cost-conscious, tasty, and filling protein alternatives. Grow your own produce. "Carbon pricing in the coming decades is likely to change the cost of eating out-of-season foods flown from far corners of the globe," Marshall says. "We don't realize it's not normal to have grapes or blueberries in the grocery store in January. A statistic that has always struck me is that, during World War II, America grew almost half of its fresh produce in community gardens." 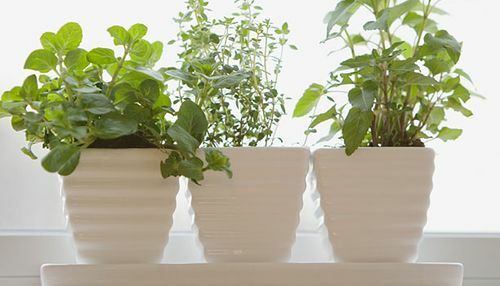 She points out that herbs in particular are expensive and highly perishable and easy to grow at home, even if you only have a windowsill or balcony for a few pots. "If you have a tad more space, focus on growing highly perishable items that come at a high economic or environmental cost when grown commercially, like salad greens and tomatoes." Freeze, store, and save. Extend the lifespan of produce and get more for your money by employing Marshall's smart storing and freezing strategies. "Reusable, air-tight containers for the fridge and pantry are an investment that will pay dividends for years. Freeze food to extend its life but do it in user-friendly ways: flash-freeze items on a cookie sheet so you don't end up with a solid mass of berries or cutlets that takes forever to defrost. Label leftovers, since 'Unidentified Frozen Objects' are likely to end up in the trash. I use bright labels so everyone knows what's inside and enticing phrases like 'Yum' or 'Eat today.'" Reduce kitchen waste. "I grew up in a household where hardly anything was thrown out--we simply couldn't afford to waste anything--so kitchen waste, especially wasted food, is a big personal pet peeve," Marshall says, noting that the problem of food waste goes way beyond the personal: 50% of food produced is wasted. At her house, they live by the FIFO principle for the fridge and pantry: "In warehouses, they call this 'First In, First Out.' My seven-year-old calls this 'eat the old food first.' The principle is the same: prioritize perishables that will spoil more quickly, like greens, over items with a longer shelf-life, like carrots." Compost. It's free, and it helps. "We compost what we can so that our fruits and vegetables go back into our garden and don't end up in a landfill where they will produce methane gas that contributes to global warming." Use everything you buy. "The words 'Sell by' and 'Best by' don't mean 'use or toss by,'" Marshall points out. "Veggies that are about to pass their prime can be blended into soups or baked into casseroles. Chutneys and salsas are another great choice. Over-ripe fruits make great smoothies or baked goods. And most of those things can be frozen for another day." What strategies do you use to eat sustainably on a budget? Sound off in the comments.